Somewhere along the way your life became something you don't recognize. You juggle all the details of your family, giving every last bit of energy to make a good life for your children. You do your best to raise good kids and no matter how hard you try, you keep feeling like you just aren't good enough. Parenting often brings out the best and the worst in us. I chose to specialize in working with parents, because as a mom of 4, I know the challenges and the importance of parenting with intentionality. In my many years of working with families, I have seen that the best, most permanent change happens in families when it comes from the top down. If I work with you as the parent, identifying challenges, strengthening you and then encourage you to make changes in your own family, it is empowering and has lasting results. I believe in the parents I work with to build their own beautiful families. I have worked with parents on a wide variety of issues, from prenatal anxiety or depression, infertilitiy issues, parents of victims, parents going through divorce, and many, many more. Below I have highlighted just 3 of the issues and services that I currently offer. When your child is struggling, it is hard to focus on anything else. You might feel helpless or powerless to make any real difference. I have seen time and time again that when I am able to strengthen the parents for their role and empower them to make the changes in their homes, that the change filters down and the families are healthier together. 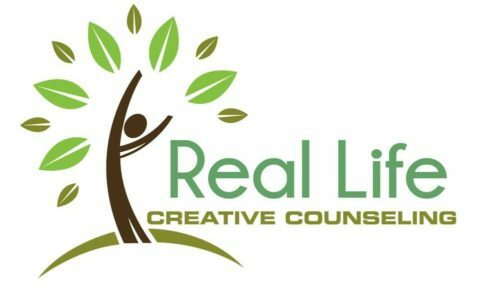 If you are feeling overwhelmed by parenting a child who is struggling, whether from emotional or behavioral issues, or even from a medical challenge, and you need a safe place to be strengthened for your task, I am here. A group is forming on this topic now. For many reasons, parents end up not parenting together under the same roof. However, research has shown that a successful co-parenting relationship can be a predictor of mental health and emotional stability for the children parents are raising. Co-parenting therapy can help parents work through issues that they have as related to parenting, in a safe environment that does not unnecessarily dredge up all of the old relational baggage, but focuses on the child or children and how the parents can create a loving, consistent and healthy environment for them, regardless of custody situations. This can be a great option for families before, during or after divorce. This is NOT marriage therapy, but rather is focused on creating a healthy co-parenting partnership. Reunification therapy offers a safe environment for a parent and child, or children, who have been separated for a period of time, or have never had a relationship, to reconnect and build a healthy foundation. The purpose of this type of therapy is to offer short-term, goal-focused therapy for the parent and children to begin to build a basis for a future relationship, whatever that may look like. I have years of experience helping families through this process and have seen so many parents and children benefit from the process. Click Here to download an information sheet on Reunification Therapy. Schedule your free 15-minute phone consultation online now!